Any field of study seeking to establish itself must follow a two-stage process of development. First, it must demonstrate that it is a legitimate field of study, and then it must isolate and describe what specific things comprise that field of study. It is generally accepted that history is a legitimate field, indeed, one of the basic subjects everybody should learn. Yet – although history as an intellectual and academic pursuit is thousands of years old – there is still a great deal of misunderstanding about what the study of history entails. That is, most people seem not to know what “history” is. Let us start by saying what history is not. History is not “information and data about the past.” “In fourteen hundred and ninety-two, Columbus sailed the ocean blue” is not history. Does it seem strange to read that? After all, those were the sorts of things we were taught for twelve or more years in school. George Washington was the first president. The Revolutionary War began in 1775. Tsar Nicholas II was married to Alexandra. The monarchs of England since the Norman Conquest (which took place in 1066) were William I, William II, Henry I, and so on. 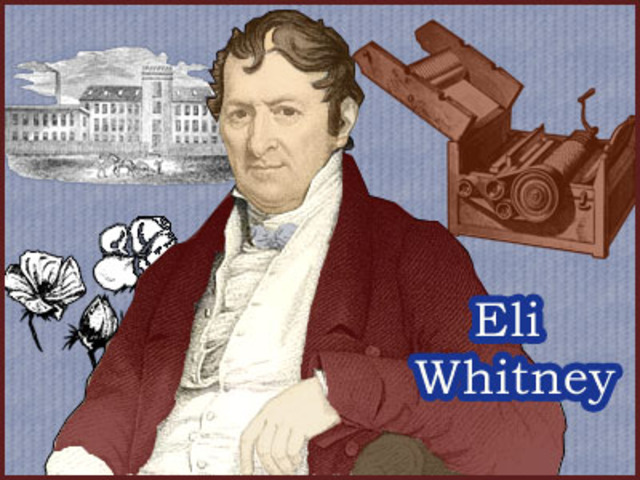 In 1793, Eli Whitney invented the cotton gin. Having been educated and trained as a historian, I can assure you that those data are not history. Not history, you say? How can that be? Isn’t that what history is – facts, information, and data about the past? Let me pose a few questions to you. Would you say that mathematics is the same thing as numbers? Or that literature is the same thing as words? Or that writing is the same thing as typing? No, mathematics is what you do, theoretically and practically, using numbers. Literature is what you do analytically using words. Writing is what you do creatively with your typing skills. Likewise, history is what you do intellectually with data and information about the past. Merely memorizing a bunch of factoids with no hard learning behind them does not constitute the study of history any more than being able to name all the tools in a woodshop constitutes carpentry. Carpentry consists of what one does physically with those tools and raw materials. Unfortunately, especially in primary and secondary school, that fact-memorization is what we are taught as history. At one school where I worked, the senior American history teacher required a particular project from every student, every year. This project was to be able to list the Presidents of the United States in order, including the starting and ending years of each one’s term of office. I’ll be blunt: learning that is not learning history. Additionally, it is a pointless assignment. First of all, why would it benefit anyone to make an effort to memorize information that, if needed, can be looked up online or in a book in fifteen seconds? I do not see the point of, nor do I recommend, memorizing anything that you can look up. Second, if you end up needing to know such information, it will naturally accrue in your memory without special effort. Earlier I mentioned the monarchs of England. I can list them in order, but not because I memorized them. I can do it because in the course of the extensive studying I did in the area of English history I became familiar with each of those rulers. Let’s take a look at one of the factoids I mentioned above: “Eli Whitney invented the cotton gin.” This is the answer to a ubiquitous question on history tests. The teacher asks; the student replies. It is very clear-cut. Either you know the answer or you don’t. What is the purpose of knowing this? How will it make you a wiser observer, a more informed participant in civic life, or a better citizen to know that the cotton gin was invented by Eli Whitney? What is the purpose of knowing that? What is important is not the name of the person who invented the cotton gin (and Whitney did not invent the first cotton gin, only the first successful one), but the significance of that invention to America in 1793. The cotton gin could mechanically separate harvested cotton bolls into fiber and seed. By eliminating the labor-intensive manual separation of the seeds from the fiber, Whitney’s invention made the growing of cotton a profitable industry in the American South. As a result, slavery, which was then believed to be fading out of existence for economic reasons, became a vital part of what developed into the biggest industry in the South. That is what is important about the cotton gin, and just knowing its inventor tells you nothing about its significance. Why the coach? First, because the way history is taught, it gives the coach a lot of free time to attend to his coaching duties. He can work on them while he shows a video or hands out “study packets” for the students to read at their desks. Tests and exams are easy to prepare and grade, because he can just pick out a bunch of factoids to memorize and then prepare true/false and multiple choice tests that can be graded automatically. He does not have to determine if the students have acquired any understanding beyond the rote learning. There is no arguing about grades because the students’ answers are there for all to see and are either right or wrong. Elias Howe did not invent the cotton gin; Eli Whitney did. Thomas Jefferson’s home was called Monticello, not Camp David. Second, the football coach can bring his first priority into the classroom, teaching from war to war, with an emphasis on battle tactics as they relate to football. “Here’s General Sheridan, coming around Lee’s left flank, just like O. J. Simpson did in the 1968 Rose Bowl…” This has the added injury of reinforcing the notion that wars are an inevitable part of the natural order of things, and that history is mainly about conquest. A third reason comes directly from the first two: although history is extraordinarily hard to teach well, it is astonishingly easy to teach badly. History is unlike nearly every other field in that almost from the beginning the student encounters disagreement among professionals. This does not happen in chemistry, where all the chemists have agreed that water is comprised of hydrogen and oxygen, or mathematics, where all the mathematicians have agreed that the cube root of 27 is three. In most other fields, it is in graduate school where students first seriously grapple with disputes among the informed. In the study of history, however, one is presented with disputes very early in the game. What were the causes of the Civil War? Opinions vary, and we begin to examine them in the tenth grade, if not before. This can lead to a certain looseness of rigor, because it is assumed by some that – since informed and erudite practitioners often disagree – anybody’s idea is just as good as anybody else’s. In summary, history is a never-ending study, always subject to revision. It is analytical at its core, and although the data collected are never complete they are nevertheless all we have to help us form opinions. What constitutes history is not these data, not the bits we can memorize, not the names and dates and locations. It is the analyses of them that we make and the conclusions that we draw from the imperfect evidence available to us that make history. History is not the tools of historians; it is the work of historians. Done properly, it is hard work, but it is also valuable and rewarding. A citizen knowledgeable about history is a citizen well-informed about how the world got to be the way it is and why that matters. We all need to know that, and that is why we must work to make the case for history in our schools – not just presented, but well-taught. Previous Previous post: THESE KIDS TODAY! This is an excellent blog posting. The teacher that I never forget, that I always considered the best I ever had, was a history teacher. He wasn’t any sort of coach and all he did at my school was teach history. He had us do exercises, like reenacting the stock market crash of 1929 by having us all act as stock traders and see how we did when the crash happened. He would play us folk songs of the periods of American history we were studying. He would dig into the controversies and made us really think about what happened back then. Sure, we had to memorize some names and dates (probably because the school required him to make us do that), but he really opened my eyes to what studying history really was. So this really resonates with me. Sadly, I found out a number of years ago that this wonderful teacher took his own life. I have to wonder if it had anything to do with teachers increasingly having to teach to standardized tests focused on memorization and not on actually learning anything behind the facts and figures.